Yesterday I dreamt that I was pregnant. But not really. Everyone thought I was, despite the fact that I still had a flat stomach (well…as flat as it’s gonna get). Or maybe I really thought I was at one point and had told everyone that I was. But during the dream, I knew I wasn’t and I was the only one that knew I wasn’t. Even my doctor didn’t know. So they scheduled my induction and (just like in real life) I had to call before going to the hospital to make sure they had my bed ready. I called and to my surprise (unlike in real life), my bed was ready and they told me to just come on in and they would start my pitocin. Only I didn’t. Me and R just went on about our business, life as usual, you know…because I wasn’t pregnant and about to pop out a kid any second. And I didn’t tell the hospital that I wouldn’t be able to make it in. The next day it crossed my mind that I should probably let the hospital know that I wasn’t going to have a baby. And that’s really all I remember. I should start writing my dreams when I remember them. Because they are seriously weird. And they always seem soooo flippin’ real. So real that I woke up thinking “am I really pretend pregnant and all my friends think I’m having a baby, except I’m not?” No, no they don’t. Wake up already. 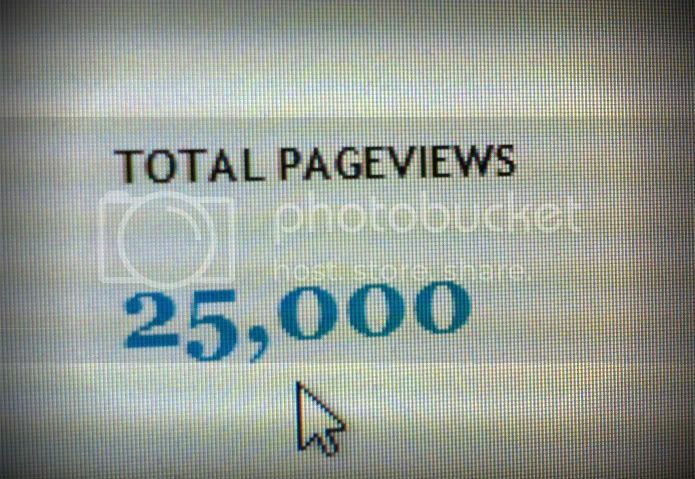 ﻿Wow, that seems like a lot of pageviews. Except it doesn’t feel like I have that much traffic on my blog. I’d love more traffic, but I don’t know that I have the time or energy to make it happen. I’ve considered doing some giveaways but then I don’t pursue it because I think, wouldn’t it be embarrassing if no one even tried to win? Also, why would a company give me a product to review when I only have 61 followers? So I just continue doing what I’ve been doing and gaining a reader here and there. I’m extra thankful for the 20-25 readers I’ve gained over the past couple months since I started participating in some blog hops, because as it turns out, they are the ones that comment and give the most feedback. So thank you, new readers! A lot of those views seem to come from people stumbling across my blog after they google “bowl cut” or some other combination of words from a blog I wrote leading up to Theo’s first haircut. And no, he didn’t get a “bowl cut.” See it? Over there to the right under “most popular posts”…yeah. Is not really a story. Since I’ve been trying to become more involved in the blogging community, I thought I would provide links to some of my favorite blogs. I always look forward to the entries from these mamas. Feel free to check them out and let them (and me) know if you like what you see. Okay there are lots more, now that I’m looking at my reading list on Blogger, but I’m going to stop there. If you are not familiar with these blogs, hopefully you will enjoy them and find some fun new reads! Oh wait, one more. She’s not a mama technically, but she’s raised her two younger sisters since she herself was still just a child after most of their family perished on 9-11-01. If you are going to read The Aftermath of Rainbows and Unicorns, I would suggest you start at the oldest post and work your way to the most recent. Prepare to spend some time on her site, because her story reads like a good book you just can’t put down. So, that’s it. Some randomness on a Wednesday for you. Enjoy! Now go read!